«Lieus Pers», Rhaeto-Romanic for «lost places», is an impressive contemporary document by Mathon collective, that transforms strange industrial and nature architecture into cleft soundscapes. 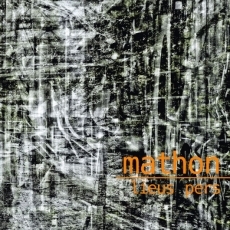 Layers of time and space interfere on the album «Lieus Pers» for which Mathon also invited musical chums and companions such as Mich Meienberg, Maria Capelli, Nicolas Kellner, Julian Sartorius and the band Digitalis to contribute to the oeuvre. Combined with the digitally alienated photographs, the album is a quest for traces, conciliating graphics and sound, past and present, nature and technology.